Xbox 360 or PS3 Version: Which Is More Popular? In Japan, role-playing game Nier has been released in two flavors: Nier Replicant for the PS3 and Nier Gestalt for the Xbox 360. Which version do you think is more popular in Japan? So in Japan, the most popular version is, wait for it, the PS3 version. Shocking! The difference between the two versions is the character design and the relationship between two characters. Oh, and one version is on a console that not many people in Japan own. Here is the Xbox 360 version. 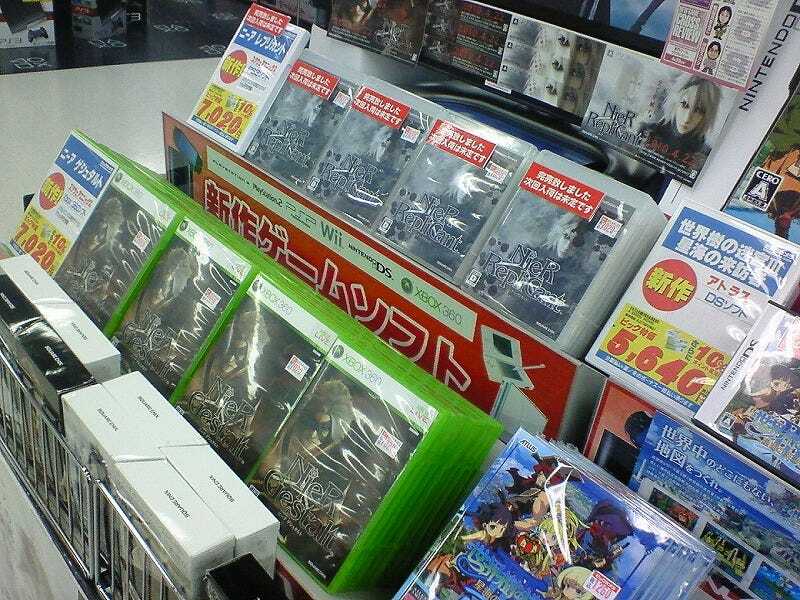 The boxes are empty, and customers bring said empty box to the register to purchase the game. The PS3 version of the game has a small red notice saying that the game is currently out of stock. Tune back in for the weekly sales tally!